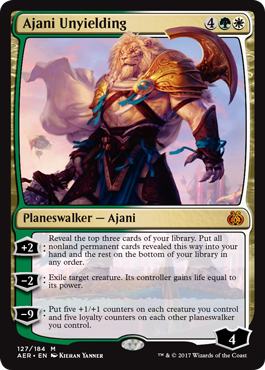 Things are revolting in Kaladesh…. (ok…that was bad) Tezzeret has come to town and turned things into a different kind of party..
What: Sealed Standard event (get 6 packs of the new stuff and build best 40 card deck.) 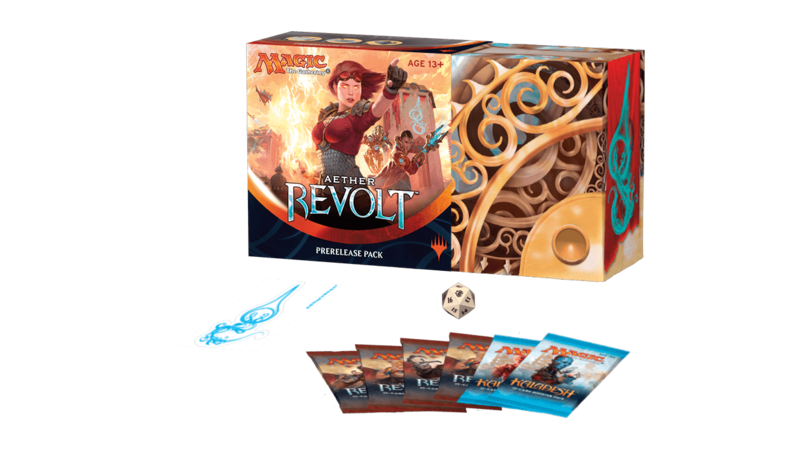 Play either competitive (at least 4 rounds, with bigger fistfuls of prize packs for the winners, but needing to win at least two rounds to get any prize packs.) or casual (play three rounds, win a round, win a pack). Choose when you sign up. Sunday at 3 is a Two-headed Giant using the same special prerelease packs.